Nasacort is a nasal spray that’s prescribed for the treatment of allergic rhinitis. Allergic rhinitis is a condition where the body reacts to allergens and releases chemicals that cause inflammation on the inside of the nose. The active ingredient in Nasacort is a corticosteroid called triamcinolone. It works by reducing inflammation and therefore relieving symptoms of allergic rhinitis. It doesn’t cure the allergy itself. Allergic rhinitis can either be seasonal or perennial. For example, hay fever would be a seasonal whilst animal fur and dust mites would happen all year round. Nasacort is suitable for both types of allergies. Nasacort is prescribed when OTV (over the counter) medicines don’t improve your symptoms and as an alternative to antihistamine nasal sprays. If your symptoms aren’t helped by Nasacort, you may need another form of steroid medication to help manage your condition. Have you taken an oral steroid treatment? Are you currently taking any other medicaion, prescribed or otherwise? How long have these symptoms been present? Have you used Nasacort before? Have you spoken to your GP regarding your allergies? Was your GP the first to prescribe you Nasacort? Have you ever received side effects from taking hay fever or allergy medication? Nasacort is a brand of medicine that’s prescribed to people that struggle with both seasonal and perennial rhinitis. Nasacort contains the medicine triamcinolone, which is a corticosteroid. Corticosteroids can reduce inflammation in various situations, one of which being in the case of allergies. Examples of causes of allergic rhinitis include hayfever, animal fur or saliva, and dust mites. There are many more substances that could cause the same reaction. Although Nasacort is used for allergies, it’s not for the treatment of allergies that can cause anaphylactic shock. For these type of allergic reactions, you’ll need to purchase an epi-pen. Allergic rhinitis is your body’s reaction to a substance that it perceives as harmful. Hayfeveer is a perfect example of this, as many people’s immune systems perceive pollen to be a harmful substance, and therefore act to protect the body from it. The symptoms of allergic rhinitis often mimic a common cold, but unfortunately, the same remedies won’t work to relieve your discomfort. It’s estimated that 1 in 5 people (or 20% of the population) suffer from allergic rhinitis in the UK. This can either be seasonal (for example, hay fever) or perennial (with allergies such as animal fur which can happen all year). Nasacort contains a corticosteroid, triamcinolone. By being in the form of a nasal spray, the medicine is concentrated to the area that it’s most needed. Triamcinolone helps to reduce the symptoms of allergic rhinitis by working as an anti-inflammatory in the nasal passage. Unfortunately, it doesn’t cure the allergy, but it’s highly effective at treating the symptoms that can cause discomfort. Your pharmacist might recommend that you see your doctor, or they might be able to recommend other medicines for you to use. The main thing when choosing any treatment option is to choose one that’s best for your overall health. You might need to be monitored by your doctor if you’re taking any medicines for HIV such as ritonavir and cobicistat as they might interact with the triamcinolone. It’s a good idea to tell your doctor about any other medicines you might be taking (including herbal remedies) before starting treatment. 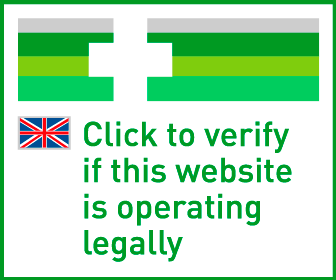 You can also disclose this information to us through our patient questionnaire that’s designed for your safety. If you’re pregnant or breastfeeding, you should only use Nasacort if it’s been advised by your GP. What are the side effects of Nasacort? Some of the symptoms on the list can be alarming, but you might not experience any of them at all. It’s also important to know that some of the effects could be caused by the allergic rhinitis rather than Nasacort. If you notice any of the side effects and you’re concerned, make an appointment with your doctor to see what other options are available for you. Nasacort may cause more side effects that what’s listed here, but the extensive list can be found in the patient information leaflet that comes with the medication (and is available to view at the top of the screen). Overdose is unlikely with Nasacort, but if you swallow it, you’ll likely find that you have some gastrointestinal upset. How long does Nasacort take to work? We know that allergic rhinitis can be irritating and uncomfortable. Luckily, most people find that it only takes a couple of days to start feeling the benefits of the medication. 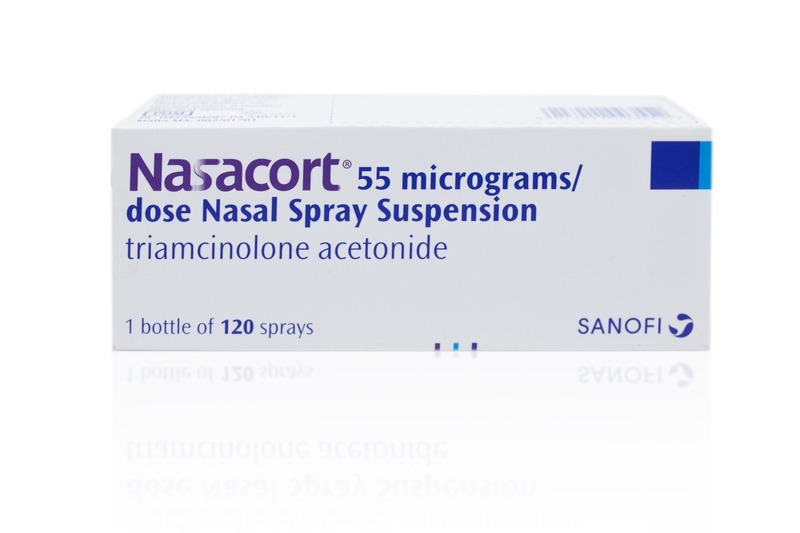 Whilst corticosteroid nasal sprays generally take longer to work than antihistamine sprays, the effects last longer, hence why Nasacort is a once-daily administration rather than an “as and when needed” therapy. How do you use Nasacort? If it’s your first time using the spray, you’ll need to prime it first. You can do this by pushing the nozzle down on the bottle, holding it away from you. This should fill the pump with spray, You should repeat this action several times until a fine mist is produced. This means that the spray is ready to use. Before using the spray, you should always blow your nose first to clear the nostrils and make it easier for the medicine to work properly. To administer the medicine, you should first close one nostril by pressing a finger against it. Insert the spray nozzle into the other nostril and gently breathe in. As you do so, push down on the nozzle to deliver one spray. You should feel the mist inside your nose. Spray again if you need two doses per nostril. Repeat the steps above in the other nostril to make sure both sides of the nose will benefit from the medicine. You should clean the nozzle once a week to prevent blockages. More information is available in the patient information leaflet. How else can I treat allergic rhinitis? Antihistamine nasal sprays are also available which work to relieve the same symptoms, but the effects of these types of medicines don’t last as long as corticosteroids. It also helps to identify your allergy trigger and to avoid it as much as possible if your symptoms are unbearable. If you can’t work this out by yourself, you can attend an allergy clinic where tests will be done to determine what may be causing your allergic reaction.